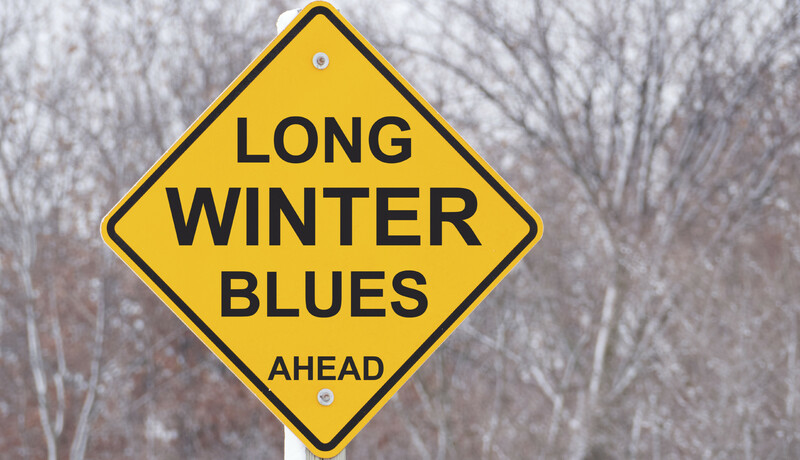 It’s been estimated that as many as 20 percent of North Americans are affected by Seasonal Affective Disorder (SAD) each winter, suffering from the blues, fatigue, and in some cases, more serious depression as sunlight grows scarce. What differentiates SAD from regular depression is that a full remission occurs in the spring and summer months. The fact that SAD and the winter blues occur when the days begin to darken and sunlight is at a minimum is not a coincidence. Your health and mood is intricately tied to exposure to sunlight. Your serotonin levels (the hormone typically associated with elevating your mood) rise when you’re exposed to bright light. Your melatonin level also rises and falls (inversely) with light and darkness. When it’s dark, your melatonin levels increase, which is why you may feel tired when the sun starts to set (and in the heart of winter, this may be at as early as 4:00 p.m.). Light and darkness also control your biological clock, or circadian rhythm, which impacts hormones that regulate your appetite and metabolism. Light can be shed on this connection when you consider that vitamin D receptors appear in a wide variety of brain tissue, and activated vitamin D receptors increase nerve growth in your brain. It’s therefore important for all-around brain function and mental health. 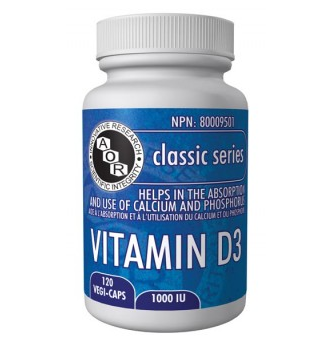 Vitamin D3 supplements (avoid vitamin D2, which is what most doctors still prescribe, as it might do more harm than good in the long term): at Back to Health Wellness Centre we only have the D3 form. As well when taking the D3 it should be taken with the meal you have the highest fat content: studies show we absorb 30-40% more when doing this! Vitamin D’s primary role is to support the development and maintenance of bones, teeth and the IMMUNE SYSTEM! Vitamin D deficiency is common, especially in the elderly, infants, people with dark skin and people living at higher latitudes or who get little sun exposure. We cover up with sunscreen, hats and water clothing more so now than ever due to the chance of skin cancer. So even if we are outside we are not exposed! 800IU of vitamin D per day reduces the risk of fracture by 20% in the elderly and decreases the risk of falls. The metabolism of vitamin D may be affected by some medications, including barbiturates, phenobarbital, Dilantin, isoniazid and statin drugs. Ask either Dr. Kristolaitis, our naturopath or Dr. Rodwin, our chiropractor if your medications are affecting your Vitamin D levels! This month’s focus at the clinic is Mental Health, which is a subject that is very near and dear to my own heart. Mental health issues have typically been surrounded by stigma, misunderstanding, and confusion, but with growing rates of incidence there’s been a much bigger push to shed some light and love on this area. According to the Canadian Community Health Survey in 2012, 1 in every 10 Canadians is battling a major mental health or mood-related disorder. 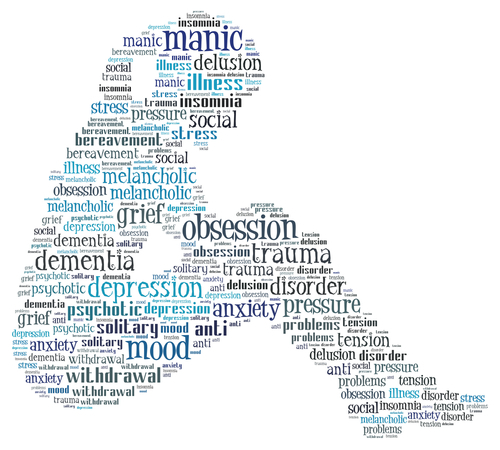 These include generalized anxiety disorder (GAD), major depression, bipolar disorder, addictions and substance abuse. Many of these conditions are often lurking under the disguise of other health-related concerns. I often see them in the form of chronic fatigue, insomnia, recurrent infections, digestive and hormonal imbalances. I’m sure we all know someone who’s fighting the battle, as many of us are fighting our own at the same time. The Bell “Let’s Talk” campaign has helped to get the conversation going, so let’s talk a bit more about some of the underlying problems and solutions! Despite mental health being an extremely vulnerable subject, a growing body of research is showing that the only way to move forward from our shame and sense of vulnerability, is to be daring enough to speak our own truth and empathize with others who are going through the same things. Brene Brown is a researcher, author, and pioneer in the field of shame and vulnerability (check out her book “Daring Greatly”! ), and has written numerous books on these subjects. In honor of this notion, I will admit I have first-hand experience in battling recurrent anxiety and depression. Although running and exercise have always been a close friend of mine, and I’m well-trained to diagnose and manage others’ health concerns, I’m by no means an exception to the rule. I’ve spent many a sleepless night with a nervous system that refuses to shut down and have had countless mornings struggling to drag myself out of bed. I have a mother who has been struggling with her own mental health conditions, complicated by 20 years of chronic degeneration at the hands of Parkinson’s disease. I’m a self-employed, professional fixer and caregiver, middle-child from divorced parents, who grew up in a home with a certain amount of emotional volatility. It could be worse, but it could be better. I’ve known countless others going through situations far worse than my own, and have been inspired and humbled by their complex journeys. From my own experience, I highly recommend the support of a good counsellor or psychotherapist who can help to connect the dots, while giving tools and resources to work through the various complex factors that affect how our brains function! Exercise – This is my #1 go-to strategy for a very broad category of conditions, but especially mental health! Exercise stimulates circulation of nutrients to the brain and releases natural endorphins to balance and regulate mood. Regularly engaging in physical activity (especially things you enjoy!) can help an anxious mind to find peace, and a depressed mind to create energy and renewed motivation. Aim for a minimum of 30 minutes 5x/week, including a mix of resistance, cardio and flexibility exercises. Protein & amino acids – Protein contains the building blocks required to form hormones, neurotransmitters, and to keep a steady supply of nutrients flowing to the brain to provide energy and a sense of calm. Protein can be found in animal sources (chicken, fish, eggs, lean red meat), pulses (beans, lentils, chickpeas, soy), and in smaller amounts in nuts, seeds, and whole grains. Aim for a minimum of 20 mg of protein 3x/day. Healthy fats – Seeing as your brain is primarily a big pile of fats, these high-energy molecules play a crucial role in the structure and energy production of the brain, as well as delivering its messages to the rest of the body. The omega-3 fatty acids in a good quality, high-potency fish oil make it one of the most wide-reaching of all supplements for overall health maintenance, but especially for mood and brain function. Other fats contained in coconut oil, avocados and walnuts are also excellent sources of healthy nervous system nutrients. Vitamin D – The sunshine vitamin is a key nutrient for the nervous system and is especially important for those who tend to get the “winter blues” (also known as Seasonal Affective Disorder or “SAD”). In Canada, our colder climate drives many people indoors for the season and when combined with shorter daylight hours, natural vitamin D production drops drastically and deficiencies have a strong link to depression. Ask your doctor (or Naturopathic Doctor!) to check your vitamin D levels and recommend an ideal safe dosage for your needs. Better yet, bundle up and get outside anyways! We live in one of the best cities in the country for outdoor winter activities, so you’ll likely be happier embracing the winter than hiding from it! Relaxation Exercises – While the sympathetic nervous system is the “fight or flight” network, the parasympathetic nervous system is our “rest and digest” pathway. Many times people are living in sympathetic mode so often (due to stress, overscheduling, deadlines, worries, etc) that they have a hard time shutting this system off. This syndrome of “sympathetic overdrive” often show ups with anxiety, panic attacks, insomnia, irritable bowel syndrome, chronic infections, infertility, and other symptoms reflecting a nervous system that can’t shut off. It may take a conscientious effort to shift into parasympathetic mode so we can re-train our body to “rest, digest and recharge.” Strategies to switch off the overdrive may include mindfulness, meditation, deep breathing, yoga, reading, hypnotherapy, amidst other relaxation techniques. Pick one that works for you and aim to get in a minimum of 10 minutes before bedtime to help wind down. There’s a great app called “Headspace” that provides an easy-to-follow 10-minute per day meditation that fits right into that requirement! Finding optimal mental health is an ongoing challenge that may require a different approach for each individual. With so many things influencing our brains and how they function, a tailored approach and a good support system can go a long way to helping you find your happy balance. For a complimentary 15-minute consult or more information about how to take charge of your brain health, book an appointment with our Naturopathic Doctor.